Theocracy is a real time strategy (RTS) produced by Ubisoft's development team, the action of which was set in the realities of 16th-century Central America. 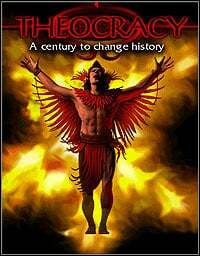 Theocracy is a real-time strategy whose plot is set in the 15th century Central America where the player controls one of the Aztec tribes. You need to develop your country so much as to repel the Spanish conquistadors' attack in the future. In order to achieve this, it is necessary to develop the economy, establish diplomatic and trade relations with neighbours and conquer new areas. To be invented in the game awaits 50 different military units, which in total can be possessed as much as 40000. Units can be grouped into larger formations, which makes it easier to control them during combat. In addition to a full campaign called Phrophecy, there is a tutorial for less experienced players, which in eight missions introduces you to all aspects of the game. Try to change the fate of history and defeat the invaders - the fate of the Aztec empire lies in your hands. Game score 6.945 / 10 calculated out of 765 players' votes.